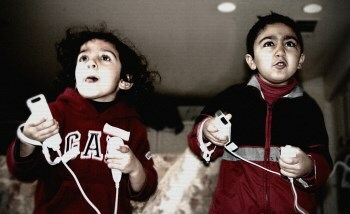 A "massive study" out of the U.K. has found no connection between playing videogames and bad behavior, even among young children. The Millennium Cohort Study followed approximately 11,000 children born between September 2000 and January 2002 "to explore how time watching TV and playing electronic games at age five years each predicts change in psychosocial adjustment." Does playing games cause bad behavior in children, in other words, and the authors of the study, carried out by the University of Glasgow, seemed to expect that it would. "Games may have more powerful effects due to active user engagement, identification with characters and repeated rehearsal and reinforcement. Gaming's interactive and absorbing qualities may substitute for interpersonal relationships and increase social isolation," the introduction to the study states. "Such isolation may provoke anxiety and depression, or, if coupled with reduced empathy (from exposure to violent games) may depress prosocial behavior." What it found, however, is that games don't seem to have any meaningful impact on behavior at all. Watching three or more hours of television or videos on a daily basis did correspond with "a small increase in conduct problems between the ages of five and seven years," but the study "did not find associations between electronic games use and conduct problems," nor was there "strong evidence for effects of TV or electronic games use on attentional problems." The authors of the study called for more research into the matter but concluded, "Our findings do not demonstrate that interventions to reduce screen exposure will improve psychosocial adjustment. Indeed, they suggest that interventions in respect of family and child characteristics, rather than a narrow focus on screen exposure, are more likely to improve outcomes."